Marshall mount School is no longer in existence as a school. The schoolhouse and residence is still there but it is now an art gallery. 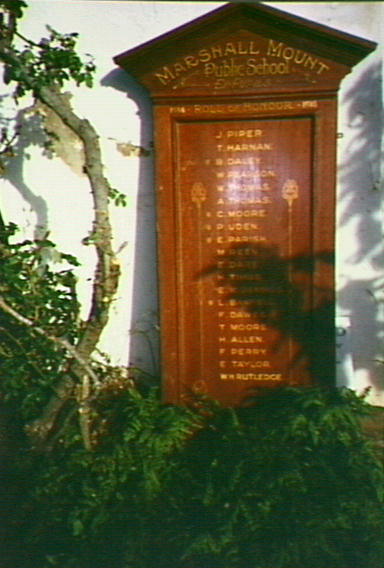 The Marshall Mount School Honour Rolls are kept in a private home at Marshall Mount.